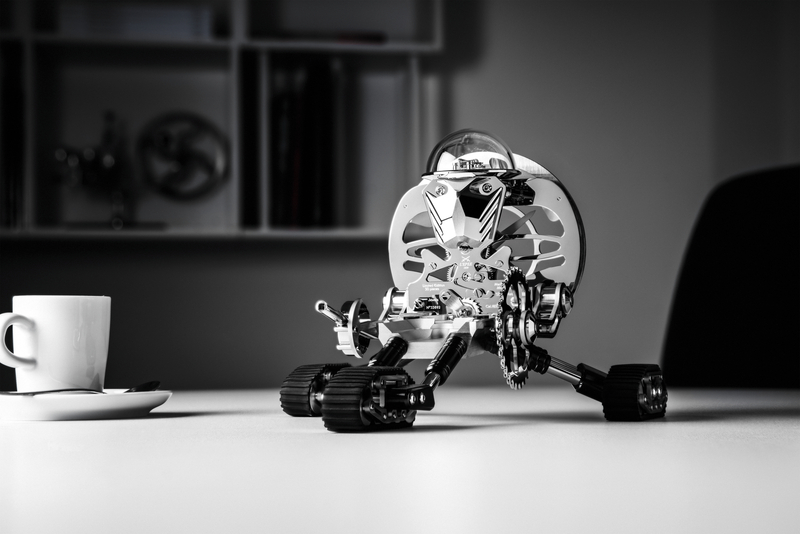 MB&F’s so-called “M.A.D.Gallery” is celebrating their 5th anniversary with the introduction of the Nixie Machine II by Berlin-based artist Frank Buchwald. 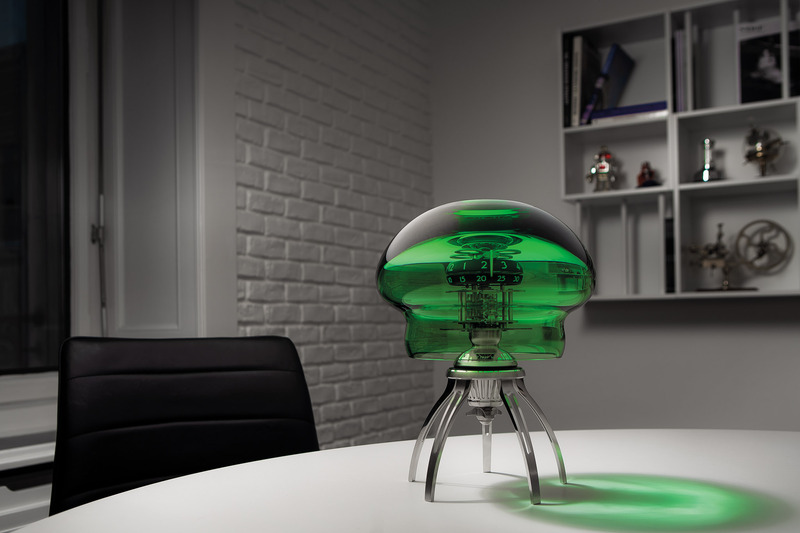 Like their first collaboration, with the first Nixie Machine, the clock features a metal base with glowing Nixie tubes. 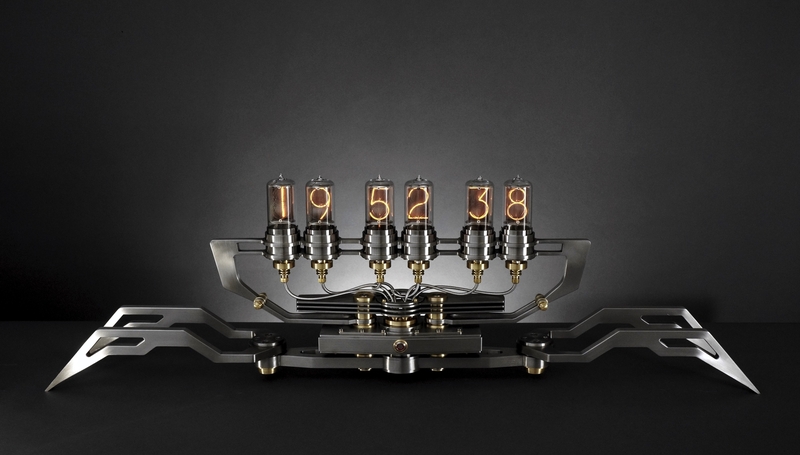 With its 47.24-inch long structure in Buchwald’s signature “heavy engineering” style and, the Nixie Machine II is handcrafted out of burnished steel and brushed brass. Each of its glowing six digits is displayed via modern Nixie tubes – also known as cold cathode displays – presented as three pairs for hours, minutes and seconds. It will be available in as a 12 piece limited edition available exclusively from the M.A.D.Galleries in Geneva, Dubai, and Taipei. 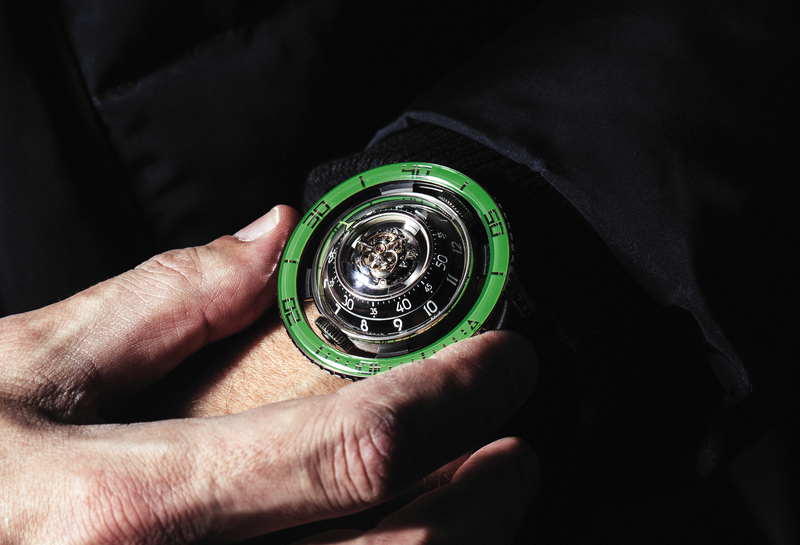 The retail price is $30,000.